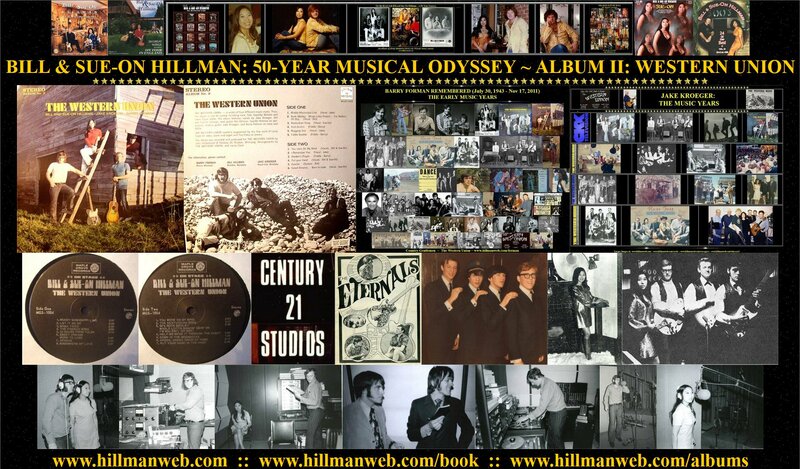 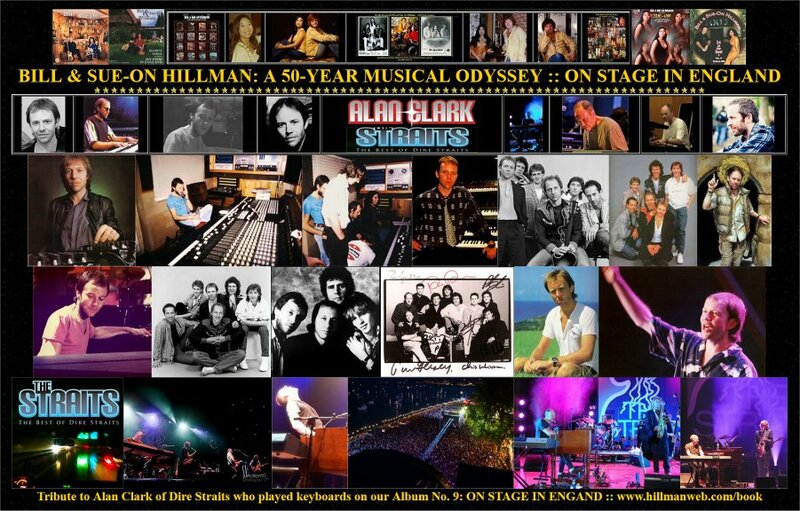 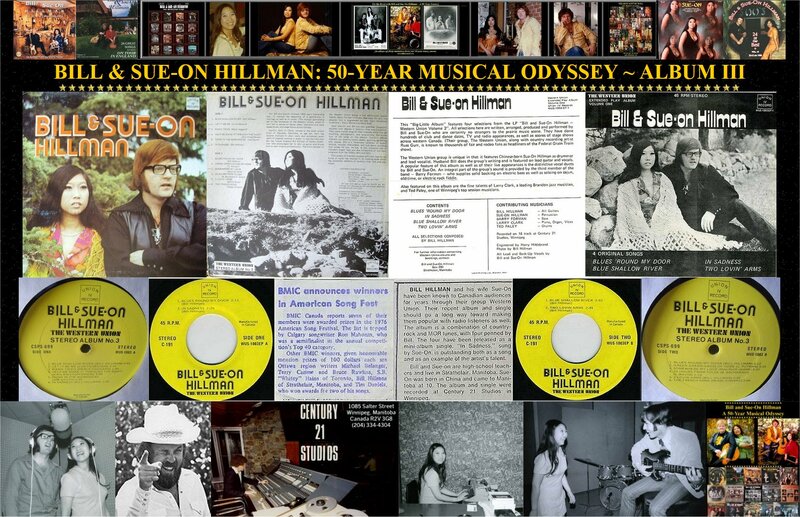 GIG NOTES Chapters of our 50-Year Musical Odyssey book. 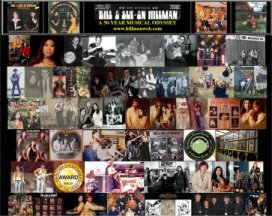 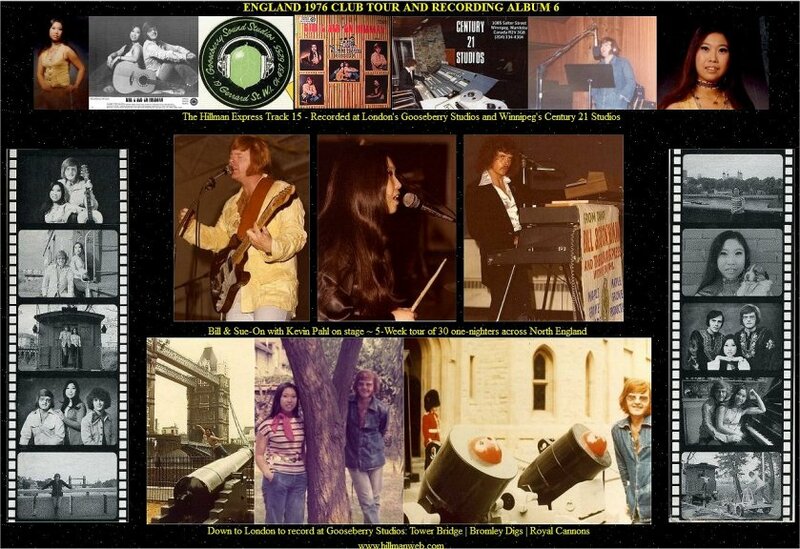 Row 2: A and B record labels ~ Recorded at Century 21 Studio, King Edward St., Winnipeg ~ Eternals Band - Hildebrand and Paley Brothers (studio owners, musicians and engineers) ~ Sue-On by fireplace at our Maple Grove country home ~ Band on Brandon pub stage during break. 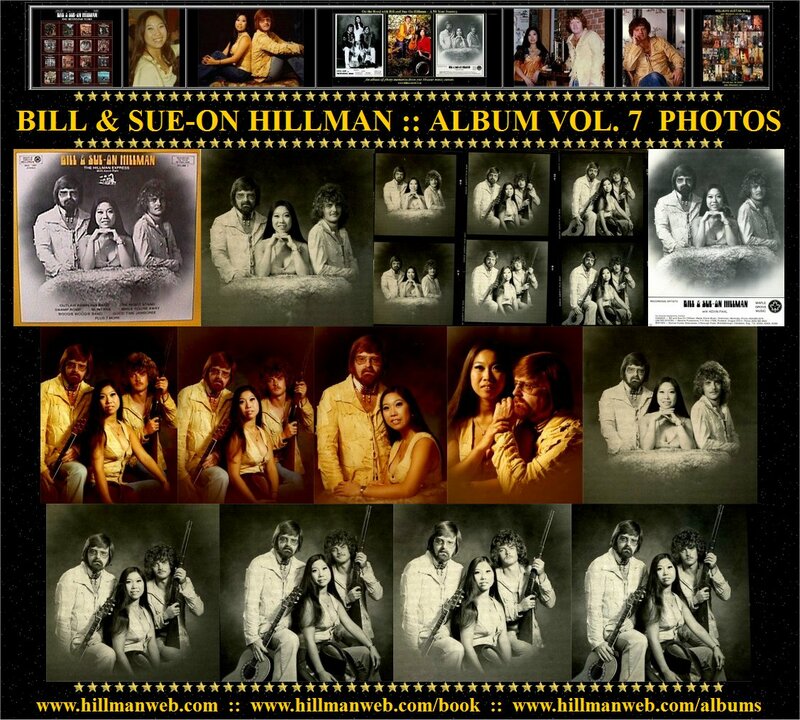 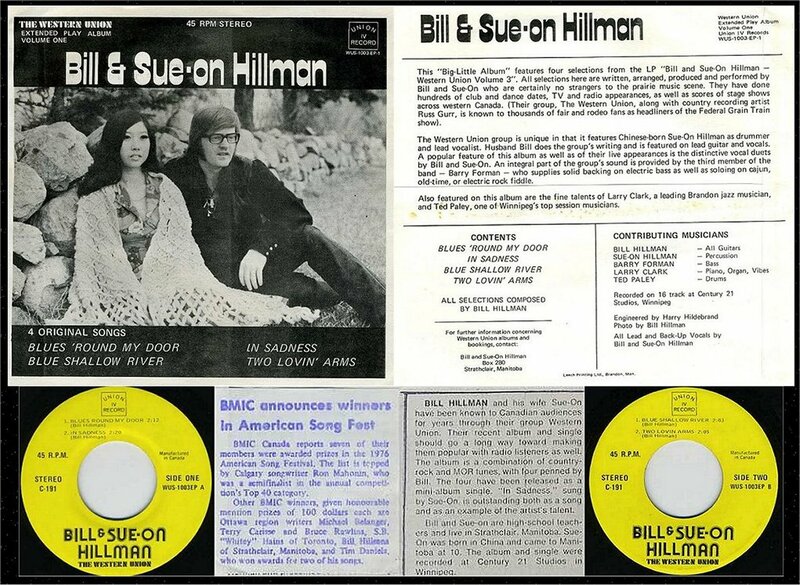 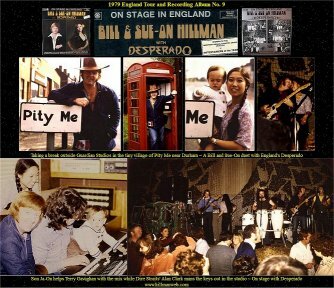 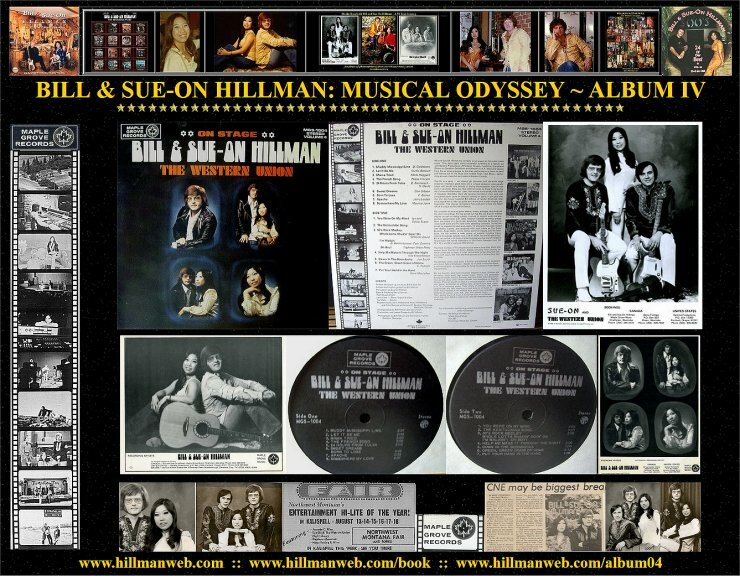 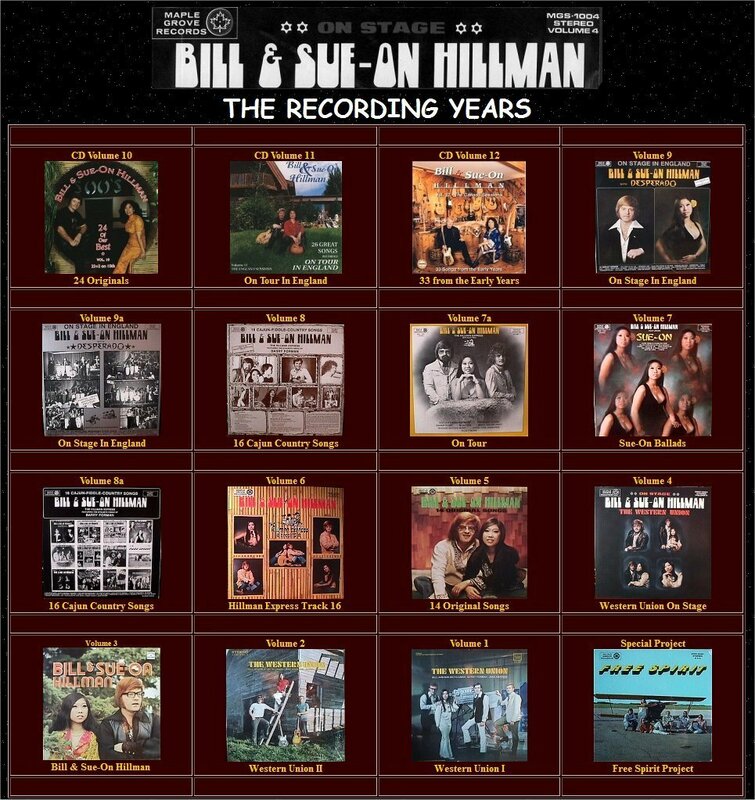 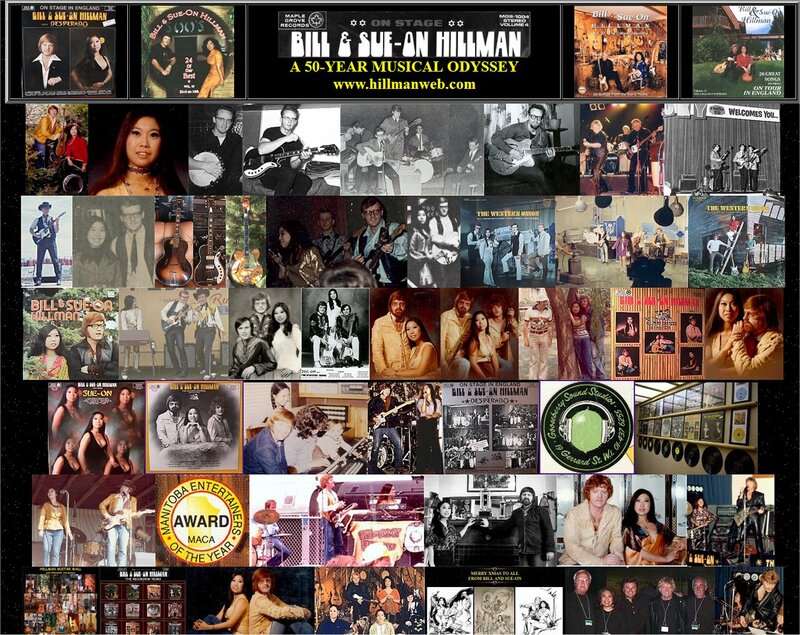 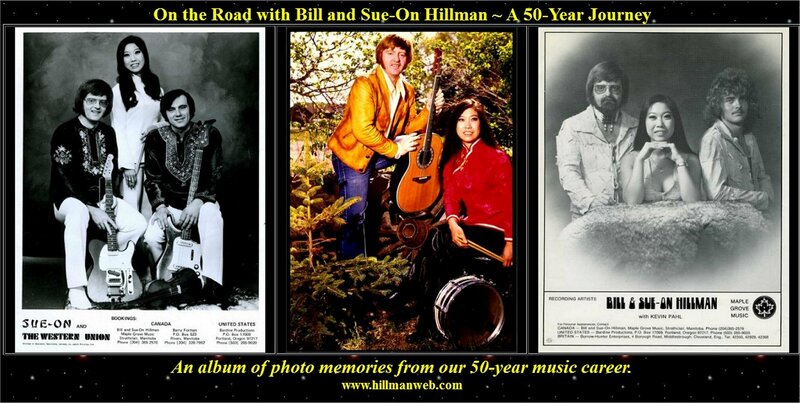 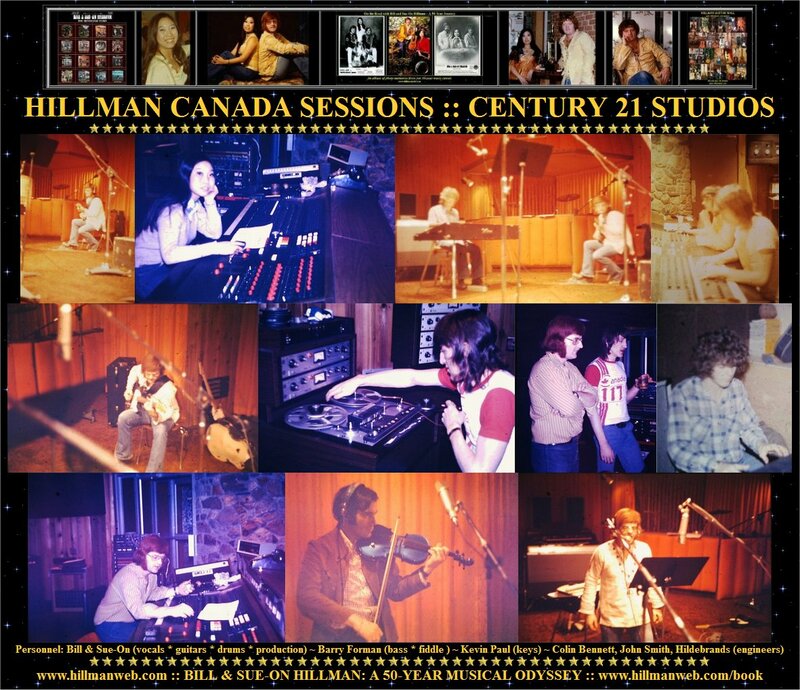 Row 1: Photos by Bill Hillman: Album 3 Cover - Sue-On and Bill in front of the spruce trees in front of their country home ~ Back Cover with Hillmans posing on the walls of their ancient stone barn ~ EP Back cover: 4 Original songs written by Bill ~ EP Cover: Hillmans in front of the stone fence around their country home - Maple Grove. 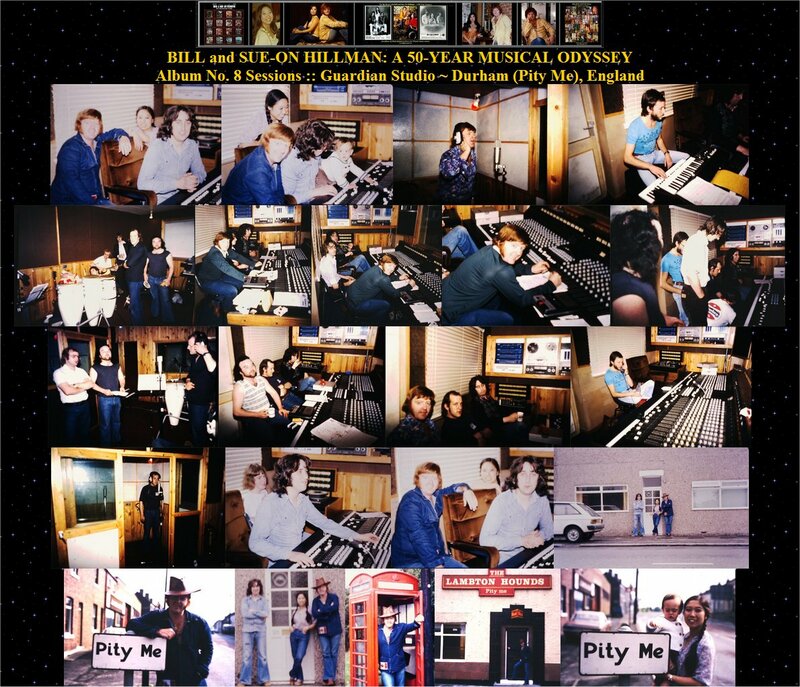 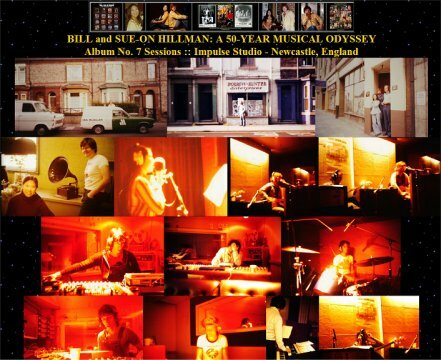 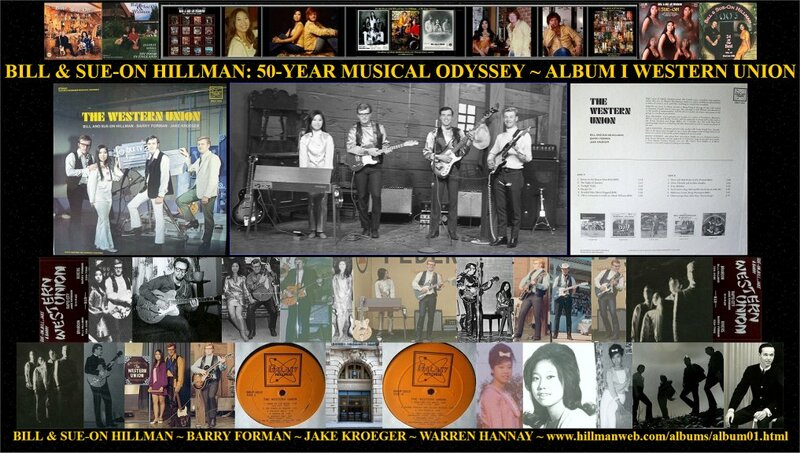 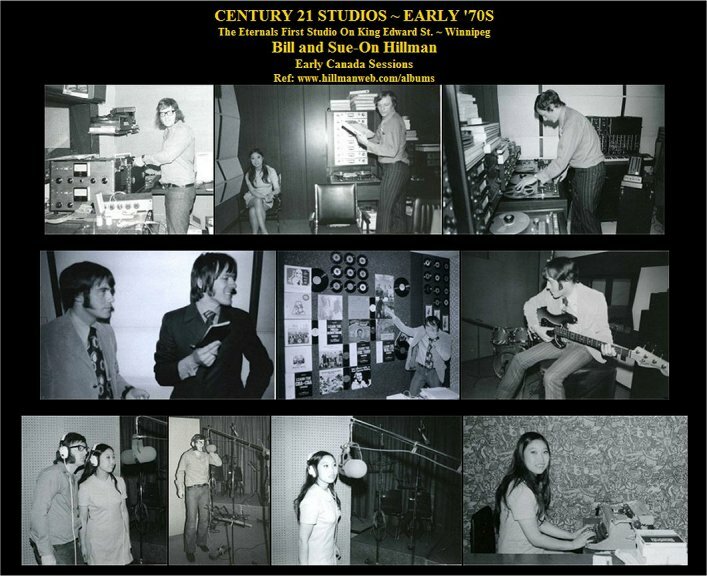 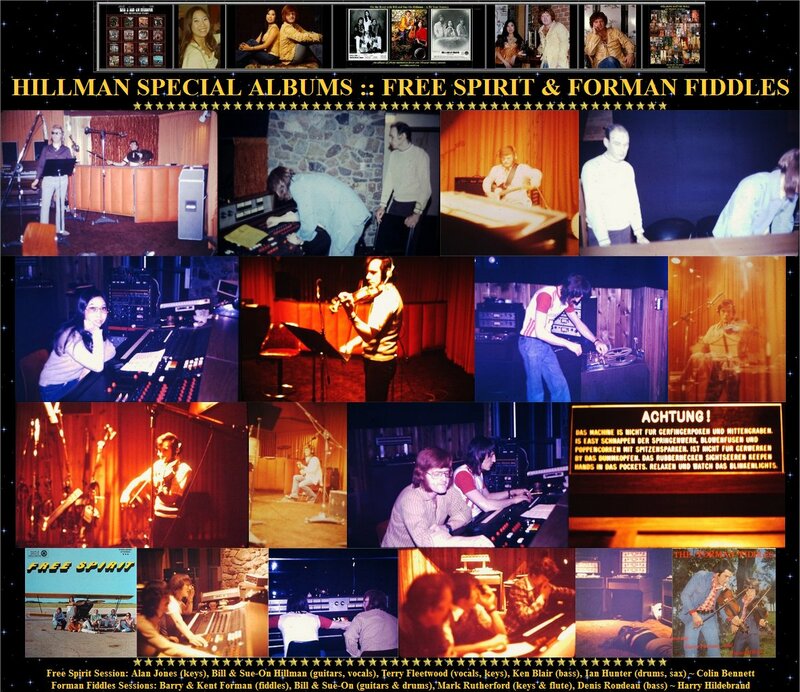 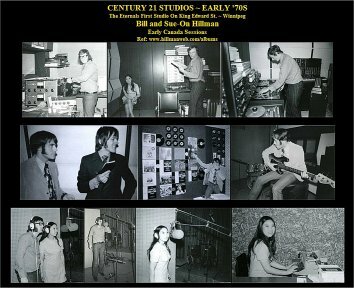 Row 3: Bill and Sue-On recording Blue Shallow River ~ Larry Clark who arranged and played keys and vibes for the session ~ Engineer Harry Hildebrand at the studio mixing board ~ Sue-On at the studio front office filling in for the studio secretary ~ Sue-On and Barry Forman having a chuckle ~ A leap ahead over 40 years to show the albums which were to follow this one. 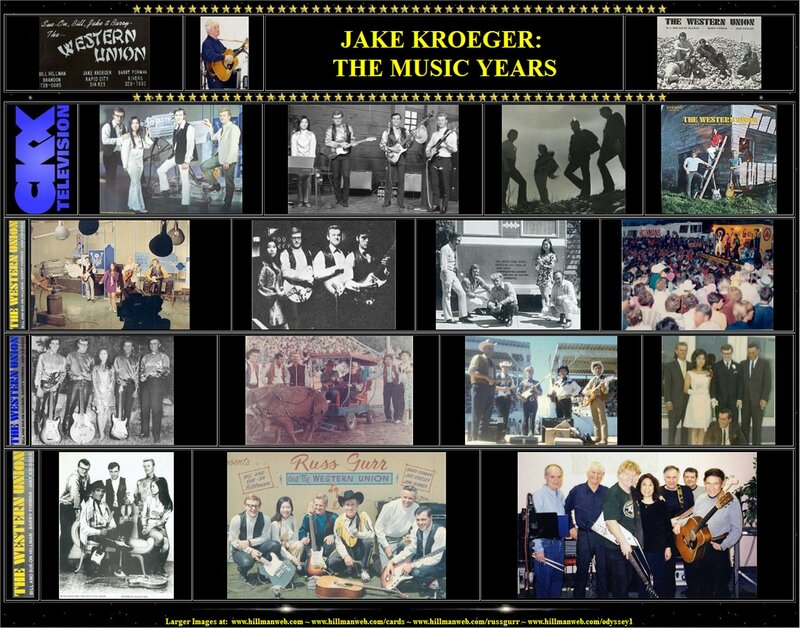 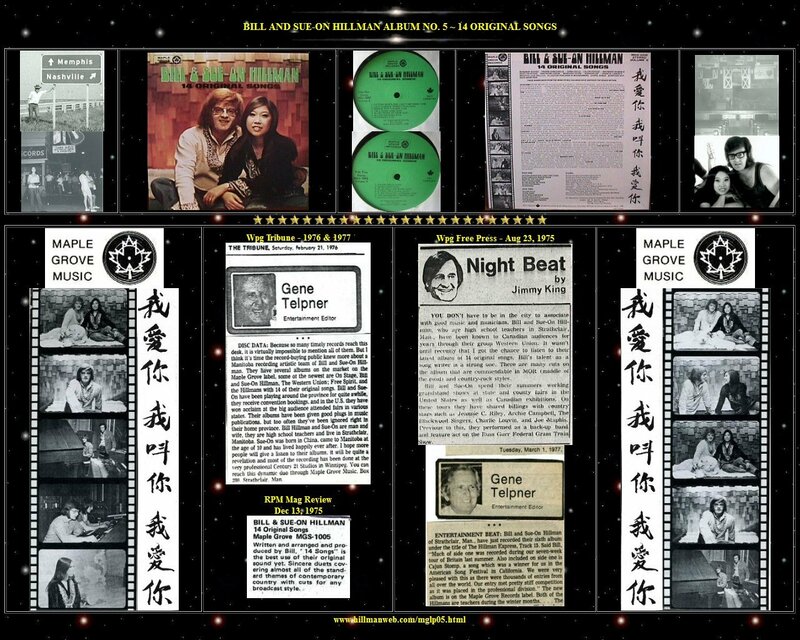 CLIPPINGS: Reviews from RPM Magazine (National trade), Jimmy King and Gene Telpner (Winnipeg Papers). PHOTOS: Memphis/Nashville Crossroads, Ernest Tubb Record Shop, Grand Ole Opry Stage, In Tour Bus in Alberta, Century 21 Studios. 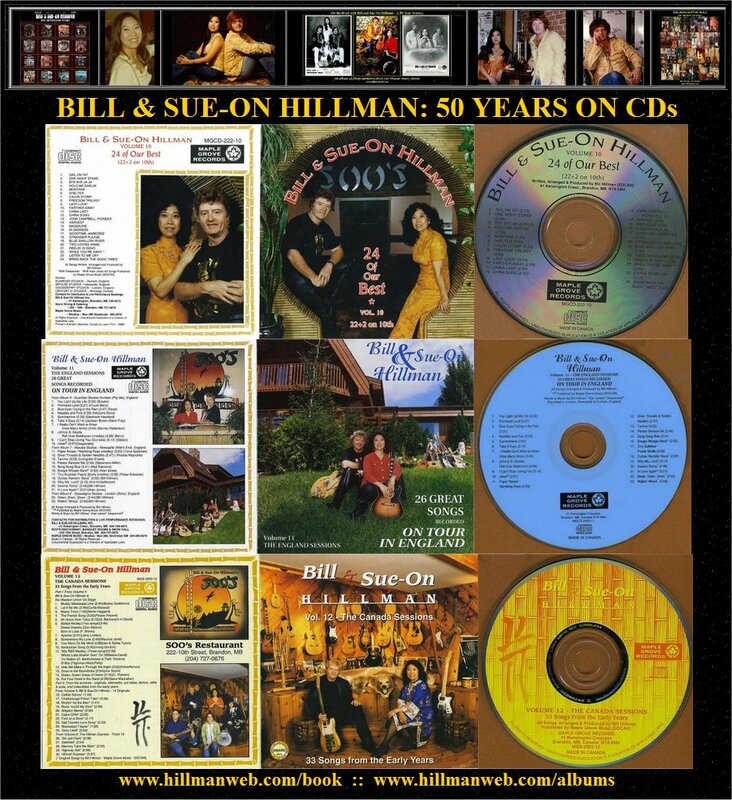 STRIPS: Bill and Sue-On in our Maple Grove Studio sitting on our snooker table with Mya, our Great Pyrenees dog ~ In our home studio with Kevin Pahl at the Grand Piano while Barry Forman looks on ~ Bill at the Century 21 Studio mixing console with engineer Colin Bennett ~ Sue-On during one of our shows at CKX-TV studio, Brandon, MB ~ Chinese caligraphy by Sue-On's dad. 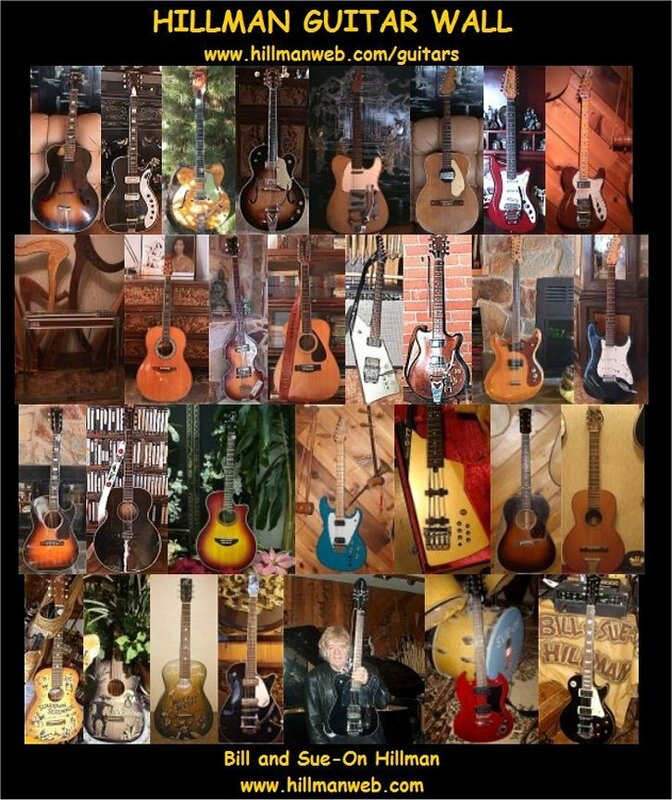 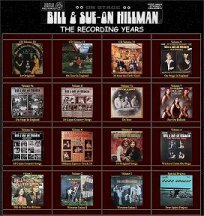 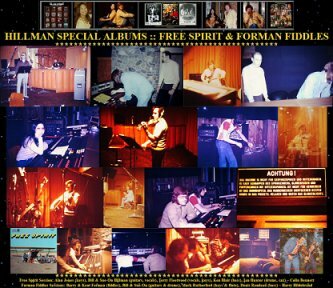 Telpner Refs: Hillmans, Ron Paley, Century 21, Roade, Strawbs, Glenn Axford, Burton Cummings, Loreena McKennitt, Thorney, and more. 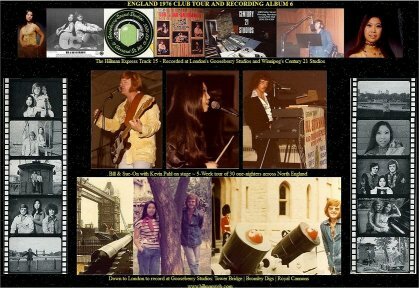 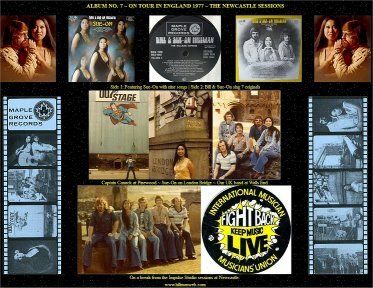 . .
Poster | Web | Card | Thumbnail | 5"
* After their move to their expanded location we did more sessions using their 16-track facility, before our tours of England where we had many sessions at London's Gooseberry, Newcastle's Impulse, and Durham's Guardian studios. 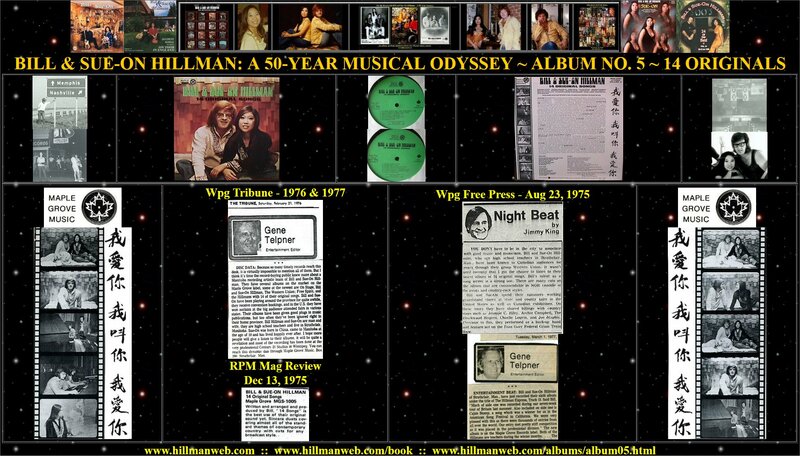 With a nice review from the BMI Canada Music Scene magazine.